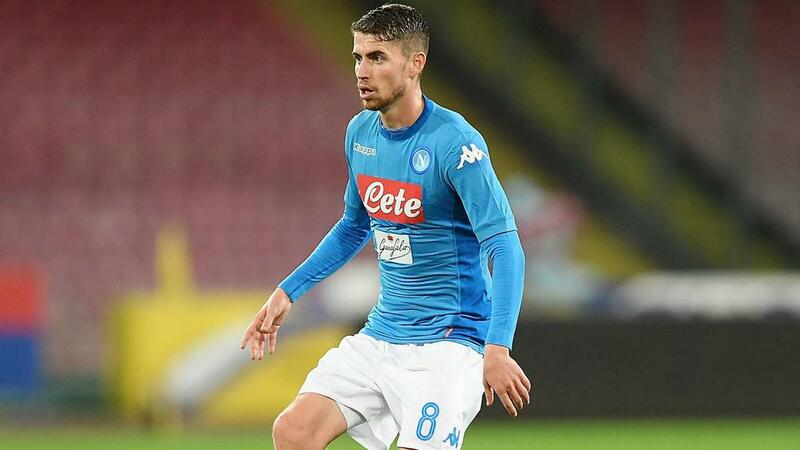 Jorginho's agent Joao Santos revealed Premier League trio Liverpool, Arsenal and Chelsea have enquired about the Napoli star. Premier League champions Manchester City are keen on Jorginho – who has two years remaining on his contract – and Santos claimed the Italy international midfielder will join Pep Guardiola's side if Napoli accept an offer. However, City appear to have competition from their English rivals, according to the 26-year-old's representative. "It depends on Napoli and their sporting director [Cristiano] Giuntoli," Santos said on Radio CRC. "I'm in Brazil, no-one's called me from Napoli. I've been called by Manchester City, and Liverpool, Arsenal and Chelsea too. "It's not hard to find agreements with teams like those. "Will Jorginho leave? I don't know, but if it's positive for Napoli to take advantage of these offers then we'll talk. "I don't know whether or not Jorginho's future depends on [head coach Maurizio] Sarri staying." Jorginho has impressed this season after helping Napoli – who threatened to win the Scudetto – secure second position behind Italian champions Juventus in Serie A. The Brazil-born playmaker, who arrived from Verona in 2014, has scored two goals and tallied four assists in 32 league appearances this term.